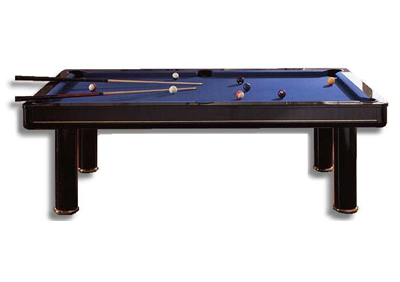 American pool standard pockets or 8-ball sized pockets if required. Plywood with iron tube legs. Accessories included (balls, cues, triange, chalk & cue rack).